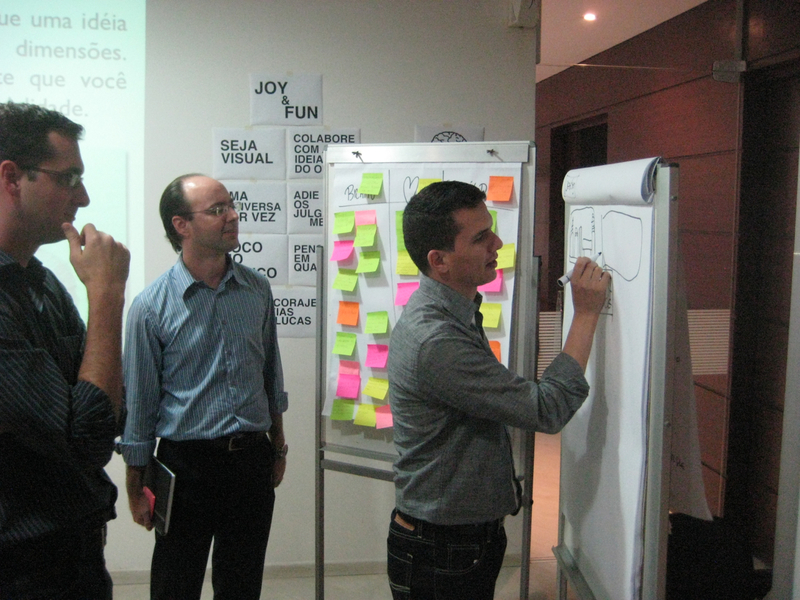 IntoActions is collaborating with the University of São Paulo and HSM Educação to bring Design Thinking as an innovation strategy to a larger audience. This event explores how design thinking can contribute to innovation and solving complex problems in businesses as well as public institutions. The two-day event combines a general overview of design thinking, from its origin at Stanford University to its implementation at companies such as Embraer and Itaú as well as across the University of São Paulo. The second day will provide a hands-on opportunity for participants to learn about and apply the design thinking process. The workshop will be offered by IntoActions. It is the first time for a leading university in Latin America to offer an entire conference on Design Thinking. The event will also mark the official launch of the collaboration between the University of São Paulo and Stanford University as part of Stanford University’s flagship design innovation program, ME 310. Starting in September, students from the Escola Politécnica at USP will work with their counterparts at Stanford University on a design innovation challenge posed by Embraer, the Brazilian aircraft manufacturer. You can learn more about Stanford’s ME 310 Design Innovation course here. This three-day Design Thinking Bootcamp will demystify the innovation process and offer design thinking as a unique learning experience that will enhance participants’ ability to drive innovation across their organization. The Bootcamp is designed for executives who are responsible for tackling strategic challenges in their organizations, whether developing offerings for the marketplace or designing initiatives for internal clients. Throughout the three-day event, participants are part of a small multidisciplinary team applying Design Thinking as they work collaboratively and hands-on on real challenges faced by companies, organizations and society from start to finish. The Bootcamp is run by IntoActions and offered in collaboration with HSM, a market leader in providing executive education and management content in Brazil. This is the first time that Design Thinking as a major innovation strategy is offered as a hands-on bootcamp designed specifically for executives.